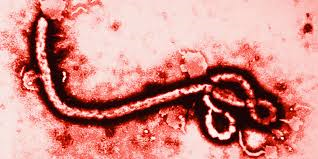 What Do You Think About the Ebola Outbreak? We have been reading about the ebola crisis that has recently ravaged countries in Western Africa. Today your blog assignment is to create a post that links to the dogo news story right within your post. Then, you need to share your opinion on the ebola crisis? What is the ebola crisis? What facts have you learned about ebola? Are you concerned about this crisis? What would it be like to be a person in Western Africa during this crisis? What would you do if it affected your community? What do you think you can do to protect yourself? What do you think people in Western Africa should do? But Mr.E, I don’t know how to get Dogo Media into my post! DON’T FORGET: you need to add a category for this blog post. barmat49 on Ted Talk – Is Binge-Watching TV Good For You?